What exactly is going on with Brexit? More than two months have passed since the U.K. voted to leave the European Union and the British government has still not revealed any details about how it plans to reshape relations with its most important trading partner. 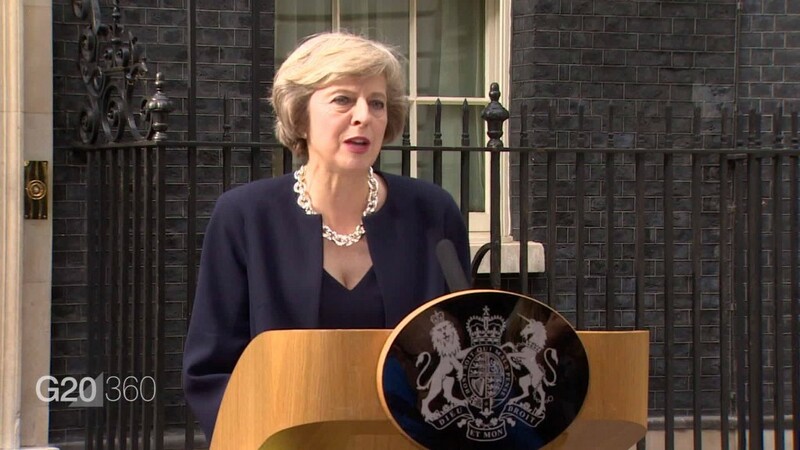 Prime Minister Theresa May said on Monday she was determined to get "the best possible deal" for the U.K., but also warned of "difficult times ahead" for the British economy. May's motto "Brexit means Brexit" doesn't reveal much. The slogan was designed to reassure Brexit voters that May, who campaigned for the U.K. to stay in the EU, would not try to reverse the result of the June 23 referendum. May says the U.K. will not copy the arrangements countries such as Norway and Switzerland have with the EU. They enjoy privileged access to EU markets, but only in return for accepting free movement of EU citizens across their borders, and for paying into the EU budget. The U.K. will be seeking a "bespoke deal," according to May. She has made clear that freedom of movement won't be allowed to continue. But she hasn't even revealed when she will formally launch the process of withdrawing from the EU, beyond saying that it won't be before the end of this year. Britain is hoping to use Brexit as an opportunity to negotiate new free trade deals around the world. But it's starting to look like that won't be smooth sailing. At the G20 summit in China, May said a number of countries, including South Korea, Mexico and Singapore, have expressed a willingness to strike deals with the U.K. But these countries account for a miniscule portion of U.K. trade. Britain's biggest trading partners have expressed concerns about its exit from the world's biggest single market. Japan said dropping out of the single market could drive Japanese companies out of the country, while President Obama said finalizing a trade deal with the EU, not an agreement with the U.K., is the priority for his administration. May stepped back from two promises of the pro-Brexit campaign on Monday: first that the U.K. would limit immigration by using points to score applicants; and second that leaving the EU would result in more money for the National Health Service. May "said many times in the past, a points-based system [for immigration] will not work and is not an option," her spokesperson said. She also refused to commit to increasing the healthcare budget by 100 million pounds a week. The promise of more cash for health was central to the Brexit campaign. May wasn't part of the campaign, but some of her key ministers, including Foreign Secretary Boris Johnson, were. The British economy hasn't shown many signs of crumbling. The Bank of England has slashed interest rates and revived its stimulus program, and May has signaled she'll ease up on austerity to boost the economy. The pound is trading around $1.33, more than 11% below the level it reached on referendum day. But the stock market has bounced back, retail sales are surging and unemployment has dropped in July. There was also a rebound in confidence in the service sector in August, after a big slump in July.